Good Business Continuity Management consultants require experience from a variety of market places underpinned by years of appropriate academic and on-task training. At Commercial Initiatives we have brought together subject matter experts in the fields of Incident Management, Disaster Recovery, Crisis Communications and Information Security. Through this team we can ensure your organisation's resilience and, if required, that it meets the latest standards of BS 25999 or ISO 27001. If you believe that you require our service then please do not hesitate to contact us. We will endeavour to get back you you within 24 hours. 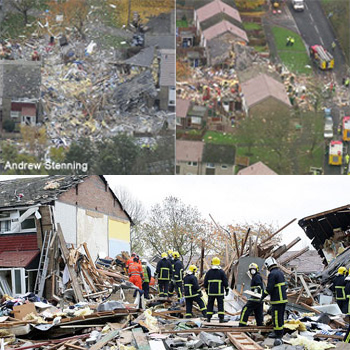 When City West Housing Trust experienced a gas explosion, we had just completed a scenario exercise and media training session with their Incident Management Team. What followed was a text book invocation of the plans which we had written for them. Click on 'Testimonials' above to read Incident Management Team Leader Paul Whitehead's report of the unfolding situation. "We have really learnt from the expertise of David and his team."